Synopsis: Part of a ring of an underground organization including illegal alcohol delivery misfits, Richmond Fell, an introverted gamer has had yet another awful work-night. His unhappy and unsatisfied girlfriend Shelby is frantically doing what she can to re-ignite his interest, while exploring other options. Her indiscretions though are the least of his worries, it’s the people he delivers to. Following Richmond’s most recent delivery, his beater of a car is stolen forcing him to deliver now on a newly acquired bike. The problems don’t end there. He’s mugged and forced to now not only deliver by bicycle, but purchase the most recent order to avoid upsetting his malicious boss. Unfortunately he ends up doing so regardless. Logline: An introverted gamer spends his nights working for an illegal alcohol delivery service, only to be dragged into his clients’ eclectic lives. 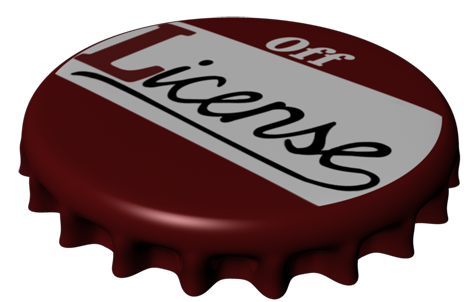 Off License depicts the darkly comedic life of Richmond Fell and the mishaps he endures on a nightly basis. Tagline: The night never ends.